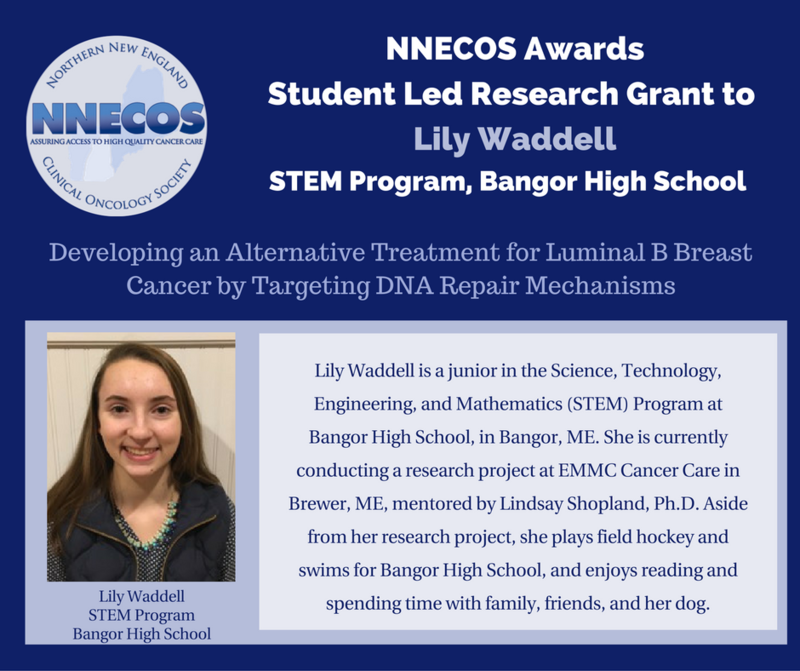 The purpose of this project is to identify a potential role for active surveillance in a subset population of patients diagnosed with early stage non-small cell lung cancer (NSCLC). 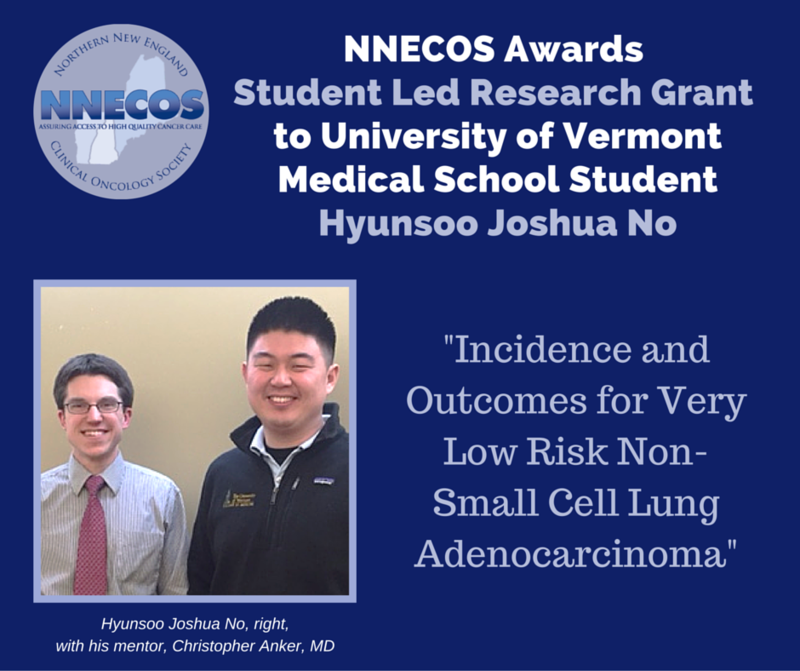 In a case series of 3 patients at the University of Vermont Medical Center, we have found evidence that stage 1A NSCLC patients with specific good prognostic characteristics do not require treatment and may benefit from an active surveillance program. This project seeks to identify the incidence and outcomes of patients with such favorable patient characteristics to help estimate the potential savings in treatment-related toxicities and costs. 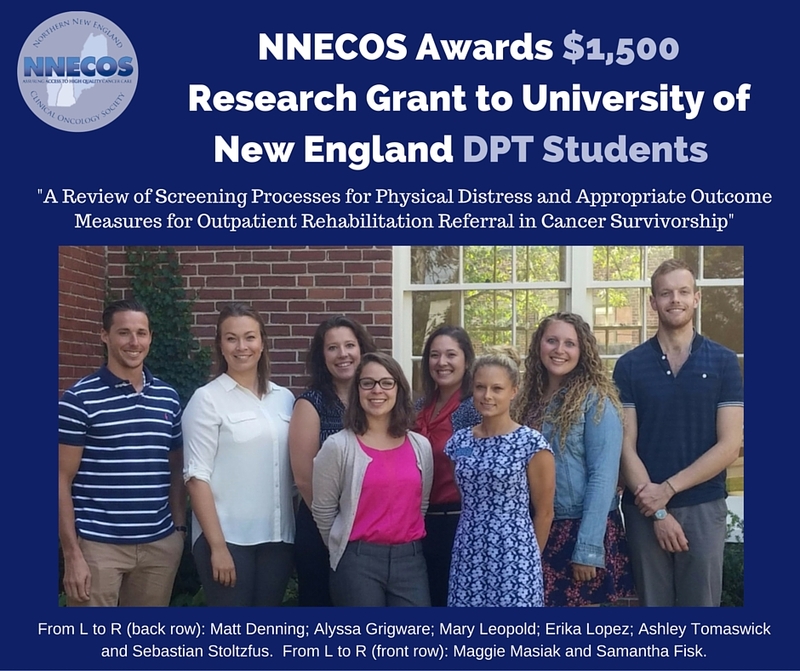 The purpose of this project is to identify the most appropriate physical distress screening tools that will assist clinicians in determining when a referral is indicated for wellness and/or rehabilitation services in outpatient cancer care facilities. This project will also identify appropriate outcome measures to help determine when oncology rehabilitation referral is indicated in outpatient cancer survivors. 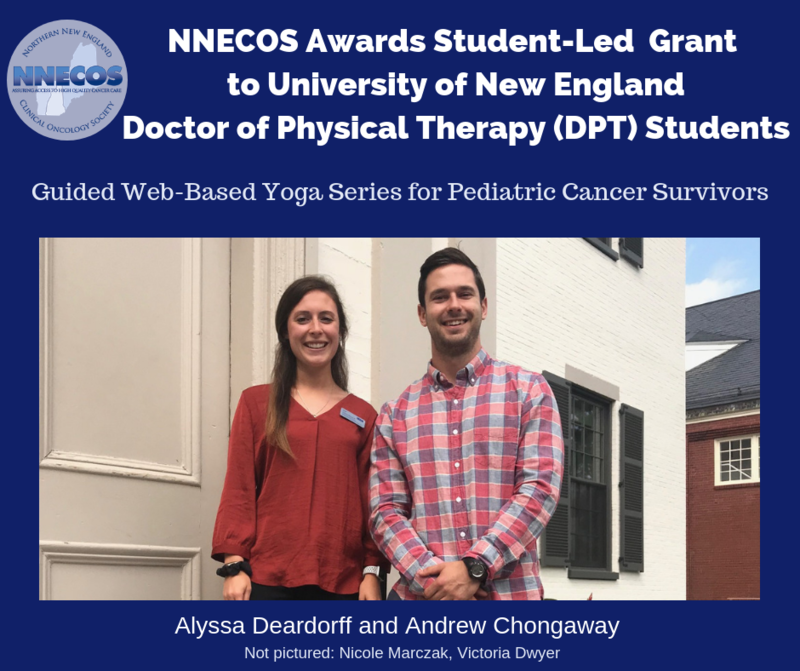 The project will create three video narratives with case studies and corresponding facilitator notes focused on cancer--‐related pain and its treatment. 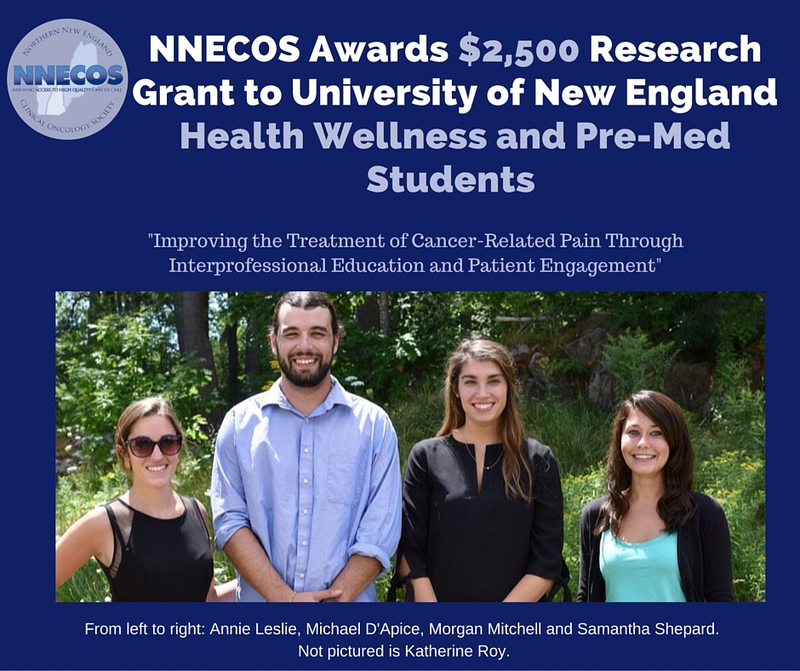 Teams of undergraduate students will collaborate with faculty members and health care professionals to interview patients experiencing cancer--‐related pain. These materials will be crafted with the intent of training future practitioners to become better prepared for the challenges of preventing and managing cancer--‐ related pain. The importance of an interprofessional team approach throughout treatment will be an essential component of the training experience, as well as the osteopathic philosophies around holistic medicine that is centered on the individual “patient”. 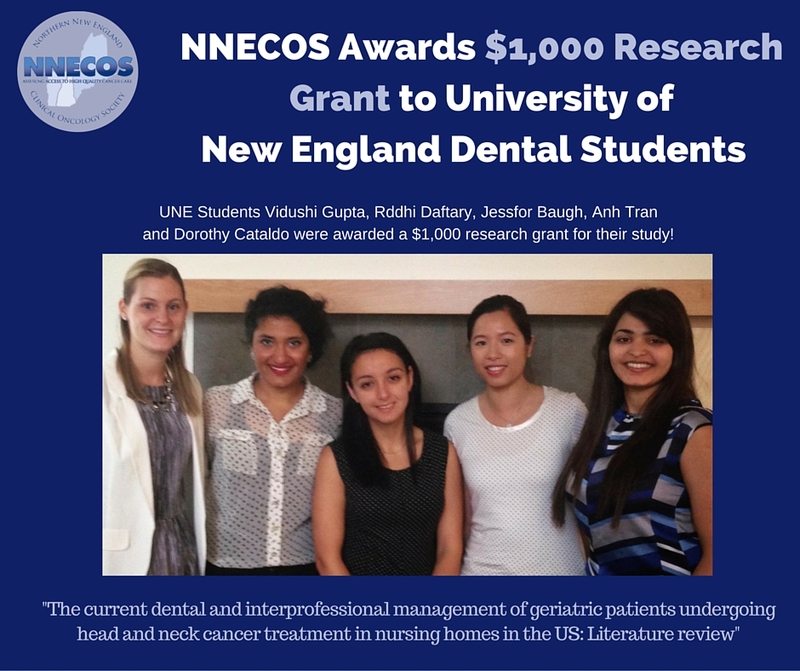 This literature review project will study current understanding and management of the dental needs for patients under oncology treatment, such as mucositis, rampant caries, xerostomia, trismus, during/after radiotherapy/chemotherapy, as well as how interprofessional health care providers provide support for oral hygiene maintenance and rehabilitation. The team will prepare a manuscript entitled, "The current dental and interprofessional management of geriatric patients undergoing head and neck cancer treatment in nursing homes in the US: Literature review," which consists of 5 sections.